In the coming months, astronomers and radio telescopes around the world will unite to look into and take the first-ever photo of a black hole. The Event Horizon Telescope Project hopes to be the first to truly observe a black hole, which was impossible until now. Scientists say that the latest developments of (sub)mm Very Long Baseline Interferometry (VLBI) make it actually possible to generate an image of a black hole. The VLBI technique uses multiple telescopes to observe the same body in space to emulate the power of much larger telescope. So far, we’ve only been able to imagine what a black hole looks like through artist renderings and CGI. In order for us to see anything in space, it needs to emit light, and black holes actually absorb light. What little, faint radio emissions we can see from black holes also ends up getting distorted and reflected by the debris swirling around the event horizon. But with a large array of telescopes, the scientists can pull a few tricks to increase the system’s resolution and observe finer details in the emissions. The system of telescopes will be looking at the black holes with two polarizations to see more of the energy spectrum. The telescopes can also combine their sensitivities to radio signals to effectively increase the system’s aperture and imitate a larger telescope. 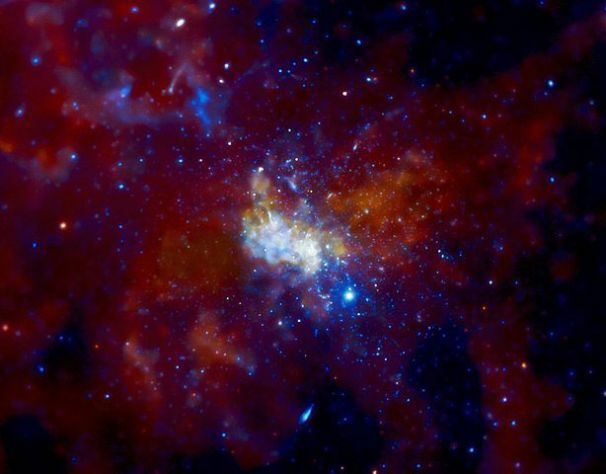 The project will use over 50 radio telescopes around the world to get a closer look at the nearest massive black hole, Sagittarius A, which is only (relatively speaking) 25,000 light years away and situated near the center of our galaxy. The scientist’s other target is M87, a black hole 53 million light years away that is 6 billion times the size of our sun. The Event Horizon Telescope Project will begin tomorrow, January 18, with a meeting in Tucson, Arizona to discuss the project. The first observational run of the project is scheduled for March 14-22 with four collaborating telescopes: Arizona Radio Observatory/Submillimeter-wave Astronomy near Safford, Airzona; the Combined Array for Research in Millimeter-wave Astronomy in the Inyo Mountains, California; the James Clerk Maxwell Telescope in Hawaii; and The Submillimeter Array in Hawaii.